Posted on October 13, 2015 at 2:53 pm. (Sophia) Flora Cooke-Yarborough was born in 1854 in London. In 1887 she married Grey Townsend Skipwith and the family resided at Loversall Hall, Doncaster. 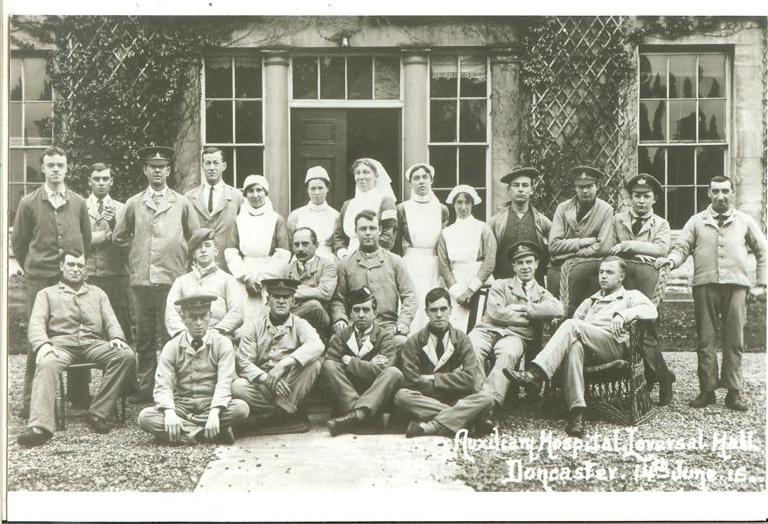 As soon as war broke out, Mrs Skipwith stepped up to help care for wounded soldiers. She ran a rest hut on the platform at Doncaster railway station for the use of wounded soldiers passing through the town. 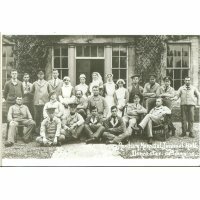 In December 1914, she opened up her home, Loversall Hall, as an auxiliary hospital and provided 100 beds for wounded soldiers. Flora also suffered a personal loss through the war when her son Granville Arthur Skipwith, a Lieutenant in the Royal Field Artillery, was killed in action in June of 1915. Flora was awarded an OBE for her war time contribution. She died in December 1940.